The GW community celebrates the culture and history of South Asian countries such as India, Pakistan, Bangladesh, Nepal, Afghanistan, Sri Lanka and Burma with an annual South Asian Heritage Celebration, which is sponsored by the Multicultural Student Services Center. The theme for this year’s celebration was “Red, White & Brown: The Audacity of Equality,” which comes from comedian Hasan Minhaj’s Netflix special, “Homecoming King.” The celebration aims to combat stereotypes, create a voice of influence on political issues and applaud positive representations in the media. 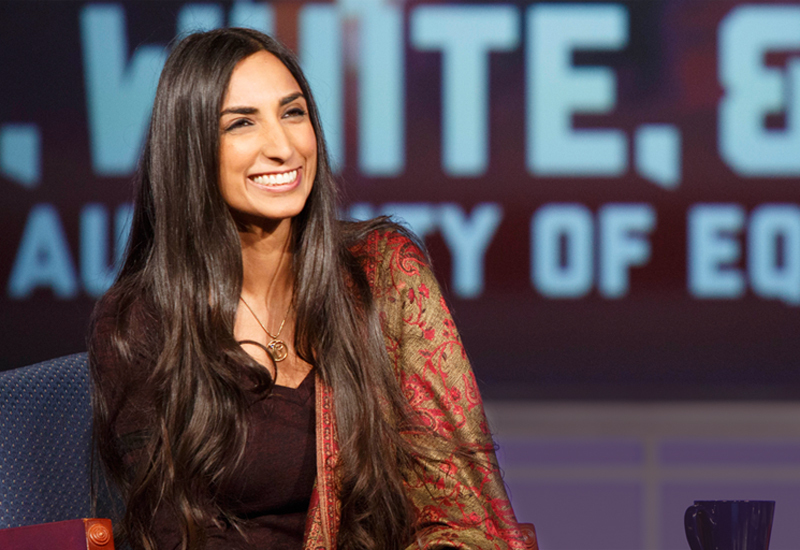 During her keynote for the celebration, Ms. Kaur explained her Revolutionary Love Project, which reclaims the ethic of love as a force for justice, and aims to make love a public ethic in the United States over the next 25 years. She explained that love must pour in three different directions for it to be revolutionary and told some of her personal stories that reflect that. For love to be revolutionary, she said, one has to have love for others, love for opponents and love for oneself. She later made multiple documentaries on social justice issues facing Americans, which began her career in activism. She said that activism, stepping in the fire with those in harm’s way, is risky, dangerous and often comes at a cost. But it is worth it, she said, as long as you go into battle with support from others like you. To get better at loving others, Ms. Kaur introduced the principle of “see no stranger” and encouraged the students to practice this by looking at people they see on the street or on the subway as a brother, sister, sibling, aunt or uncle as a way to see others as parts of themselves. As an example of learning to love your opponents, she shared a story of her trip to the Guantanamo Bay detention camp as a legal observer. The occasion was a hearing in the case of teenager Omar Khadr, the first minor since World War II to be prosecuted for a war crime. She said a soldier there accused Ms. Kaur of unfairly judging them and told her his story of joining the military after 9/11 to make his family proud, but that he felt lonely and misunderstood. She said that having the courage to listen to his story helped her see him as less of a monster and much more human. For self-love, Ms. Kaur told a story of forgiving the person who killed a family friend shortly after 9/11. Love, she said, is an act of labor that can be achieved when people support each other. To get better at self-care, she said finding and protecting those in your life that help you breathe and push through difficult times will allow you to find joy in dark times. Solely self-care is insufficient for true healing, she explained. In a Q & A after the keynote address, Mohmeet Choudhary, a junior studying exercise science with a pre-medical concentration in the Milken Institute School of Public Health, asked how he could help change the perception of a bearded Sikh man like himself being labeled a terrorist. Ms. Kaur explained that simply sharing his story and seeing himself through the eyes of people who know and love him will help him continue to share his story. 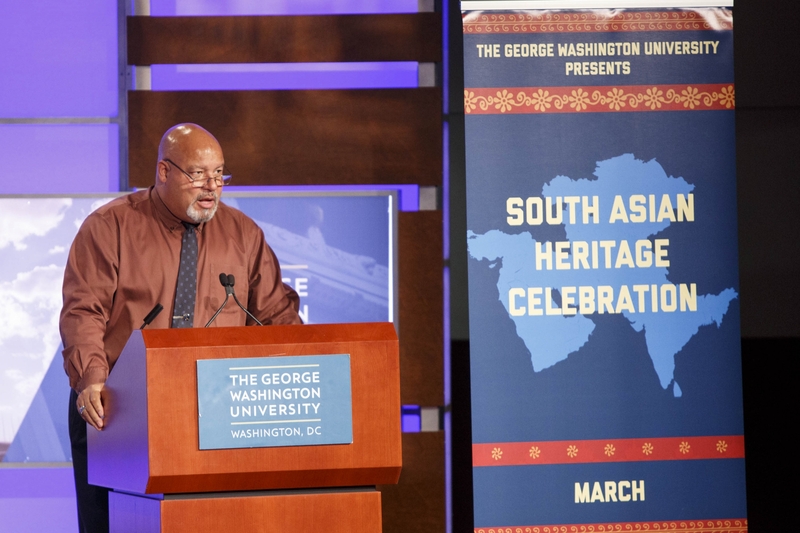 Mr. Choudhary said at the end of the program he was inspired by Ms. Kaur’s words, and that even though he’s experienced racism while in Washington, D.C., his experience listening to Ms. Kaur opened his eyes to a sense of comradery he didn’t realize was at GW.